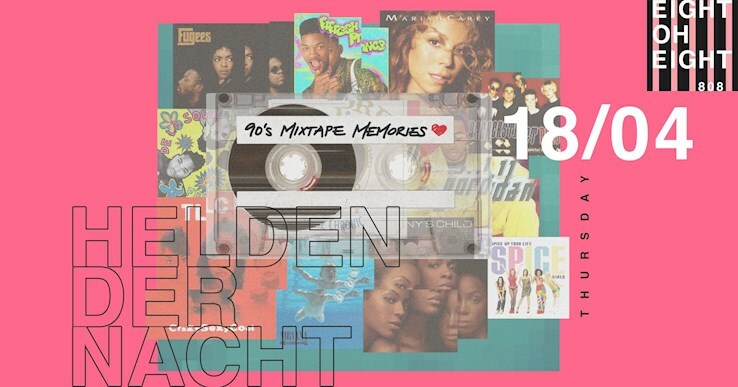 This event "Helden der Nacht - 90's Mixtape Memories - Easter Thursday" @ 808 has already ended on 04/18/2019. Here you can find upcoming events for this location! Oh yeahh, the 90's are back for another extraordinary night at 808 Berlin! Last time was amazing and we are ready to serve you some more delicious 90's vibes… get ready to listen to the ultimate 90's soundtrack – we will play it all. It's Easter, which means the following day is a Holiday... and we do have some nice Easter surprises for you – come early and you'll get your own glowlight and a delicious smooth shot at the entrance. The 90's are calling – so better pick up the phone, grab your friends and join the party!